UK-based Working Title Television UK has hired the former head of drama development at broadcaster Channel 4, Surian Fletcher-Jones. Also joining the NBCUniversal International Studios-backed prodco is Georgina Gordon-Smith, a former United Agents rep who becomes development executive. Fletcher-Jones is known for overseeing development on C4 series such as Cucumber, Banana and Indian Summers. She has also been head of drama development at Scott Free Productions, where she worked on an adaptation of Kate Mosse’s novel Labryinth for C4. She also worked as a scripted editor for BBC Drama. She left Channel 4 in March after four years with the broadcaster, and her departure was followed with that of drama chief Piers Wenger, who landed the coveted controller, drama commissioning role at the BBC at the end of last month. Gordon-Smith was a founding partner of United Agents, and in that role represented screenwriters while overseeing the book-to-film department. Both new hires will be based in London, working with Working Title TV managing director Andrew Woodhead to develop high-end scripted programming with international and commercial appeal. 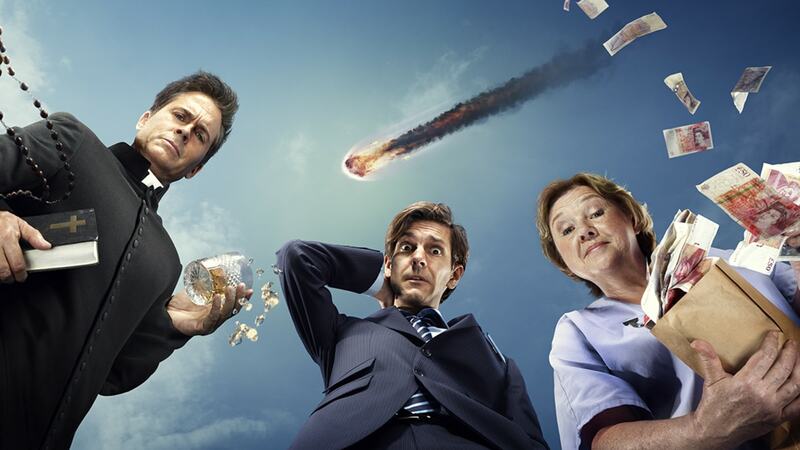 Working Title TV is behind shows such as Sky and NBC Coproduction You, Me and the Apocalypse (aka Apocalypse Slough, pictured) and London Spy. Woodhead, Fletcher-Jones and Gordon-Smith will work closely with Working Title’s US arm, and its president, Andrewa Stearn, who recently had Gypsy greenlit by Netflix. They will also work in unison with NBCUIS, which Michael Edelstein and JoAnn Alfano run. Working Title Television is a joint venture between NBCUIS, Tim Bevan and Eric Fellner.